The Boston Branch of the RSCDS is the oldest outside the U.K. Classes are held at various places in Massachusetts, Maine, New Hampshire, Rhode Island, and New York State. The Branch presents a Highland Ball in May and holds a Summer School in July. The New York Branch site contains a large number of useful links. 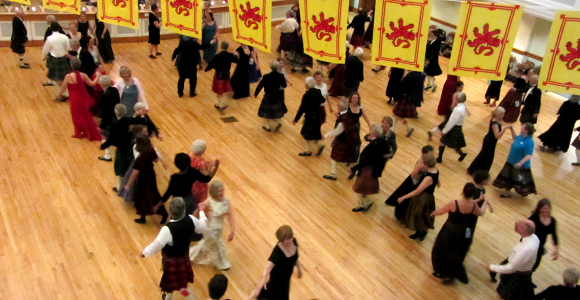 An information source about Scottish country dancing activities in North America; balls, workshops, and monthly dance socials. But of equal or greater importance it provides an extensive list of Scottish dance classes in the US and Canada. If you are traveling and want to find a place to dance, this is the place to look. Not just for Scottish Dancing!